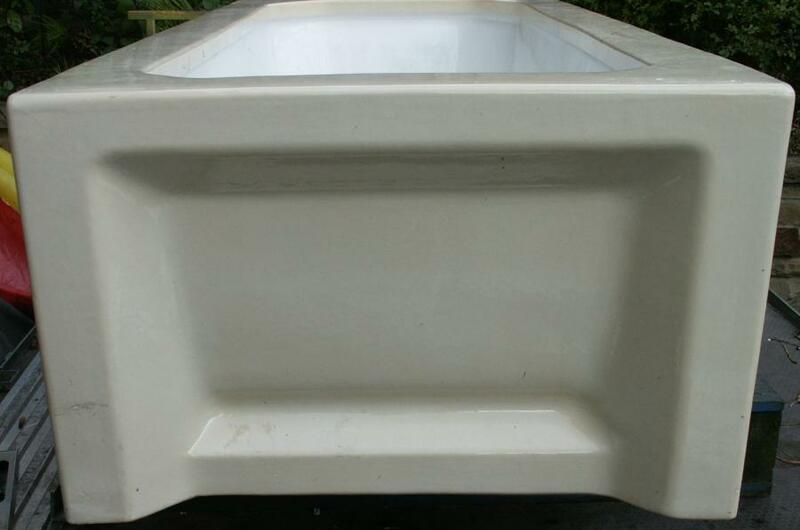 A rare one piece antique ceramic bath.English - from a house in Huddersfield, 1929.A lovely straw,beige colour on the outside and white on the inside.I have a toilet pan in the same colour.Panels all the same on the outside and symmetrical.Very good useable condition.Doesn't need re enamelling. 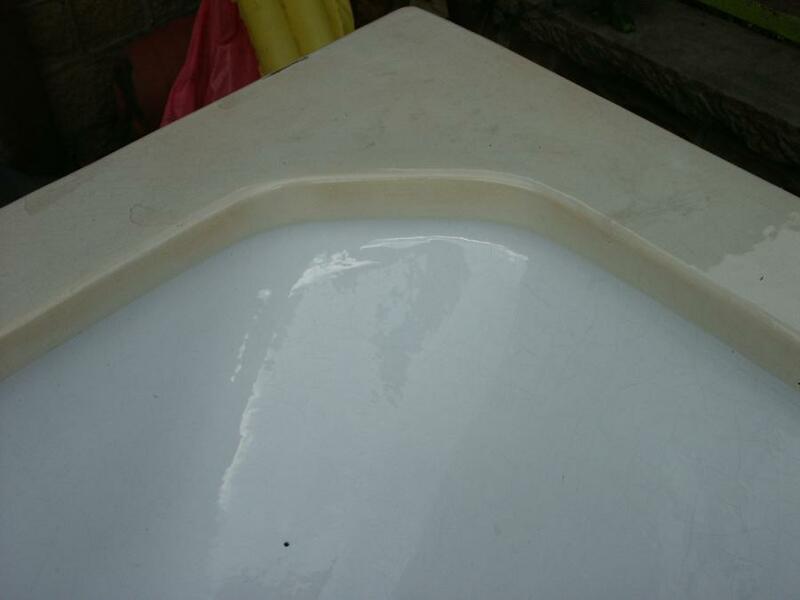 This is a very clean lined piece and doesn't scream art deco although of the period.A good base to build a wonderful bathroom around.I have a lot of other original sanitaryware and bathroom accessories,towel rails etc. 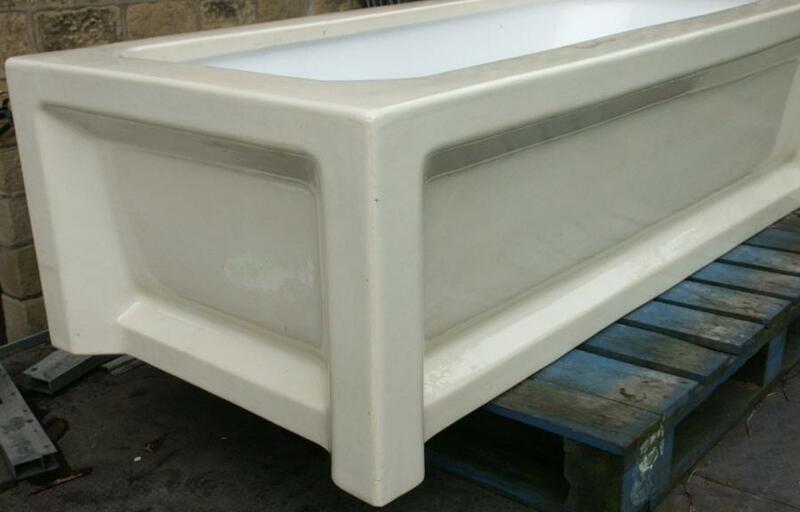 Dimensions in inches:69 x 32 x 20 high externally, 61 x 25 internally at the top and 46 x 16 at the base internally.